A native of Killeigh, Co Offaly, Ireland Gerard Cleary is a Director of Glenisk, Ireland’s largest yogurt maker, and the Cleary family business. 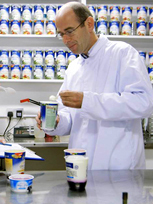 Established in 1987, Glenisk celebrates 27 years in business this year. 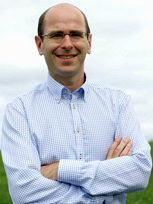 Gerard has worked full time with the family business for the past 20 years; in 1995, the company transitioned to organic production, commencing a journey which has seen Glenisk established as one of Ireland’s most recognised sustainable food brands. The company now employs more than 60 people directly and works with 50 family farms across Ireland. Glenisk is experiencing record growth despite the recession with a 20% increase in unit sales year on year and a tripling of market share over the past 5 years, making Glenisk one of the fastest moving brands in Checkout’s Top 100 brands in Ireland ranking. Glenisk is the recipient of multiple awards for its products, business and for its commitment to sustainability. These include Deloitte Best Managed Company 2013; National Organic Awards 2012, 2011, 2009 and 2008; the SFA Business of the Year 2010; Bord Bia Food & Drink Industry Awards 2009, 2007; Green Product of the Year 2008 and the Repak Award for Outstanding Practice, 2008. 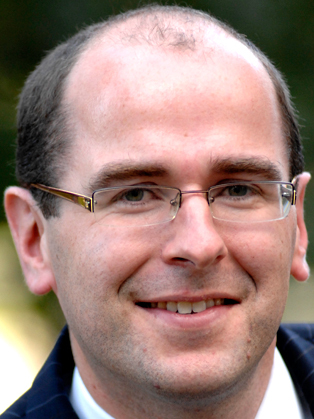 Gerard is a former finalist of the EY Entrepreneur of the Year programme; in 2007 & 2014, he was selected as one of eight finalists in the Industry category, in recognition of his contribution to the growth of Glenisk. He speaks frequently at events in Ireland and overseas, sharing the story of Glenisk’s success and his insights on business and innovation. A graduate of University College, Dublin Gerard holds a Bachelor of Commerce honours degree. Gerard completed his first marathon in 2014 & regularly competes in races. Gerard lives in Killeigh, Co Offaly with his wife Aisling and their two sons. How to be part of a family business & make money! 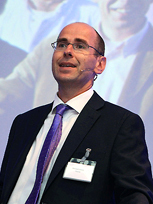 Gerard Cleary, Financial Director, Glenisk, addressed both our Annual Conference and our Members in Industry Conference during 2014. On both occasions his address was very well received, and he was regarded as a very engaging and knowledgeable speaker by attendees at both events.